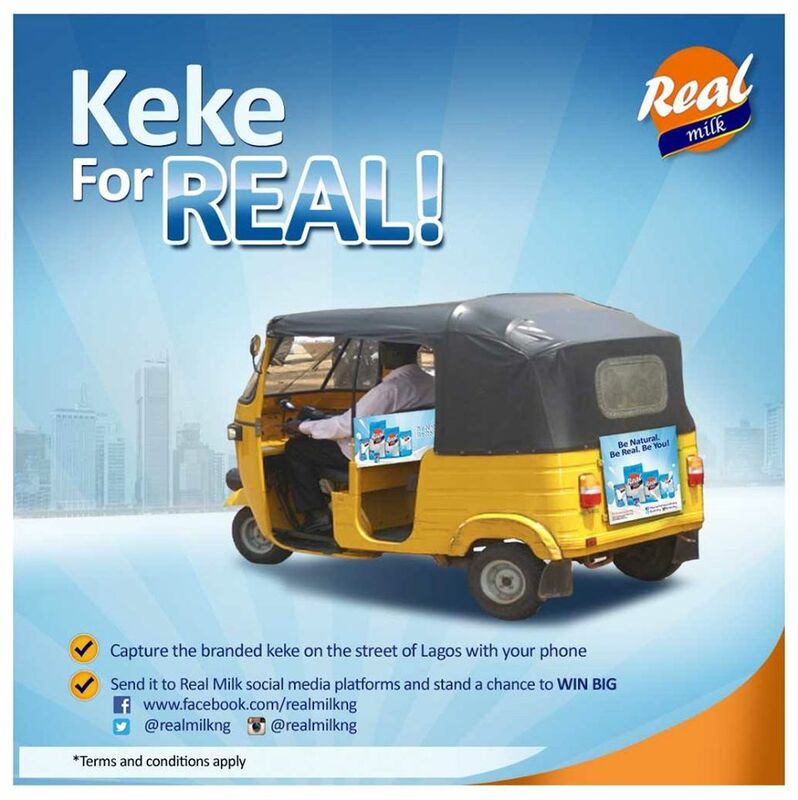 The #Keke4Real Campaign is officially Live! 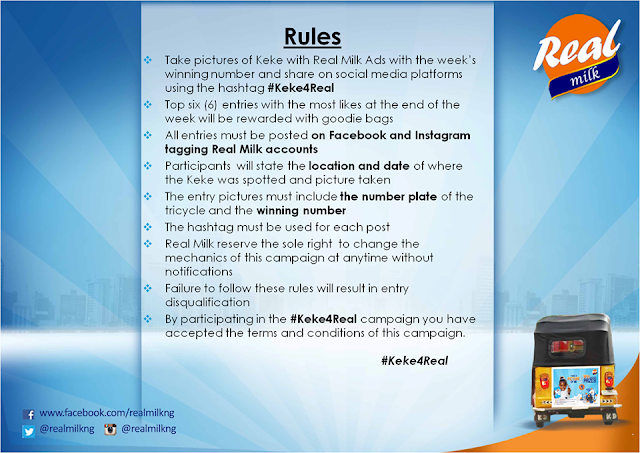 All you have to do is take a picture of the Real Milk branded Keke with the week's winning number and post on our social media platforms - Facebook, Instagram and Twitter. Your post must include the hashtag #Keke4Real. To win, get your friends to 'Like' your post on Facebook. The post with the highest number of Likes at the end of the week wins fantastic prizes. Remember, you must like our Facebook Page and follow us on Instagram for your entries to be valid.